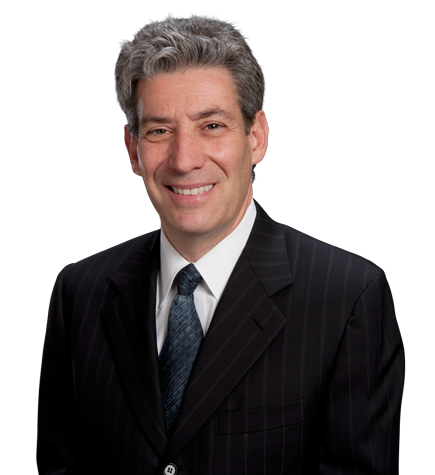 Mitchell Cohen is a member of the firm’s Transactions practice group. His practice focuses on debt finance transactions, mergers and acquisitions, securities offerings and general corporate representation. In particular, Mitchell has extensive experience in a wide range of secured and unsecured debt financings in the middle market, including senior, mezzanine, second lien and subordinated debt and other forms of private credit and junior capital finance. He represents borrowers and guarantors, as well as banks and other institutional lenders and investment fund lenders, in all types of debt finance transactions as well as restructurings. Mitchell also advises both acquirors and sellers in various negotiated acquisition and divestiture transactions involving equity and assets. Additionally, he has substantial experience in various media and entertainment transactions, including financing the development and production of films and the sale of film libraries and other entertainment assets. Mitchell served as outside corporate counsel to several U.S. subsidiaries of international corporate groups. In addition, he practiced in Tokyo, Japan, primarily advising Japanese clients regarding their U.S.-based investments and transacting business in the United States. Before becoming a lawyer, Mitchell worked as a tax consultant in the international tax group of Touche Ross & Co. in New York City. Mitchell has been recognized as a leading corporate and mergers and acquisitions lawyer in Chambers USA. Represented MUFG Union Bank, N.A., as the administrative and collateral agent and a lender, under secured credit facilities in connection with The Weinstein Company’s Chapter 11 bankruptcy proceedings. Represented the significant investor in The Walking Company Holdings Inc. in connection with the Chapter 11 bankruptcy reorganization of The Walking Company, the California-based comfort shoe chain, with respect to the investor's debt and equity investments. Represented 21st Century Oncology and two of its wholly owned subsidiaries in connection with a $35 million unsecured term loan facility. Represented Pinnacle Entertainment in its acquisition of the operations of the Meadows Racetrack and Casino in Pennsylvania from affiliates of Cannery Casino Resorts for total consideration of $138 million and Pinnacle’s lease of the underlying real property from subsidiaries of Gaming and Leisure Properties Inc. Represented producers in connection with the production, development and financing of motion pictures. Represented Tango Films LLC in connection with the sale to Revolution Studios of worldwide rights to several film titles produced by GK Films, including such titles as Hugo, The Tourist and The Rum Diary. Represented Dalian Wanda Group Co. Ltd., China's largest commercial property company and the world's largest cinema chain operator, in its acquisition of leading production company Legendary Entertainment for $3.5 billion. The transaction is China's largest cross-border cultural acquisition to date. Represented Dalian Wanda Group in its acquisition in a secondary sale transaction of a series of senior secured notes issued by affiliates of Legendary Entertainment in the aggregate principal face amount of $425 million. Represented Dalian Wanda Group as the secured creditor in connection with a significant loan transaction with an affiliate of Legendary Entertainment. Represented the Academy of Motion Picture Arts and Sciences and related Academy foundations in connection with the issuance of $341 million aggregate principal amount of tax-exempt, fixed and floating rate "Oscar bonds" to finance the construction and development of the Academy Museum of Motion Pictures. Represented iSqFt Inc., the leading provider of cloud-based software and data solutions to the commercial construction industry and a portfolio company of funds managed by Genstar Capital Management, in connection with a significant unitranche debt financing. Joint representation of two financial institutions in connection with the establishment of a syndicated senior secured revolving credit facility for a newly formed film production company. Represented Dallas-based Tango Films LLC in connection with the restructuring of significant investments in both independent film production and film distribution companies and the acquisition of feature films and television projects. Represented a global specialty pharmaceutical and medical device company in connection with the establishment of a syndicated senior secured revolving credit facility. Represented Network Communications Inc., a media company providing lead generation, advertising and internet market services to the housing industry, in connection with the establishment of a new senior secured credit facility. Represented the Official Committee of Unsecured Creditors in connection with the Chapter 11 proceedings of American Suzuki Motor Corporation. Representation of AMG Boardwalk LLC, a Las Vegas-based nightlife entertainment company, in connection with a significant investment and commercial transaction involving Revel Atlantic City. The transaction involved complex structure, real property, management and tax issues as well as issues related to future economic participation and corporate governance. Represented senior management and equity holders of a national renal disease management company in connection with a leveraged buyout of that company. Represented a major supplier of fresh-cut fruits and vegetables to supermarkets and food outlets in connection with a significant refinancing transaction. Represented an institutional investment fund in connection with the purchase of debt and equity securities of a publicly traded consumer finance company. Represented an institutional investment fund in connection with a management buyout of a company that designs, develops and sells personal care products and related accessories globally. Joint representation of multiple institutional investment funds in connection with the purchase and subsequent restructuring of senior secured debt and equity interests in Harlow's Casino Resort, a hotel and casino resort located in Greenville, Mississippi. Represented a secured creditor institutional investment fund in connection with the bankruptcy filing and restructuring of one of the fund's portfolio companies and the subsequent purchase of the debtor's assets in a Section 363 asset sale. Represented FDR Management LLC dba Pure Management Group, a major owner/operator of nightclubs and other entertainment venues in Las Vegas and elsewhere, in connection with several significant transactions, including the restructuring of substantially all of the debt and equity interests in that company, the acquisition and consolidation of related equity ownership and business interests, and the issuance and sale of senior secured debt and equity interests to institutional investment funds and other investors. Represented the owner of the Del Taco restaurant chain in connection with the leveraged buyout of that company by a private equity consortium.